Your best shot of becoming a billionaire is to become an entrepreneur. That’s according to the second annual Billionaire Census, released today by Wealth-X, a Singapore-based firm that compiles research on the ultra wealthy, and financial services giant UBS. More than 4 in 5 billionaires around the world made the majority of their wealth themselves, as opposed to inheriting it, according to the survey, which measures the global billionaire population from July of 2013 to July 2014. “One of the common characteristics of the world’s billionaires is their entrepreneurialism. 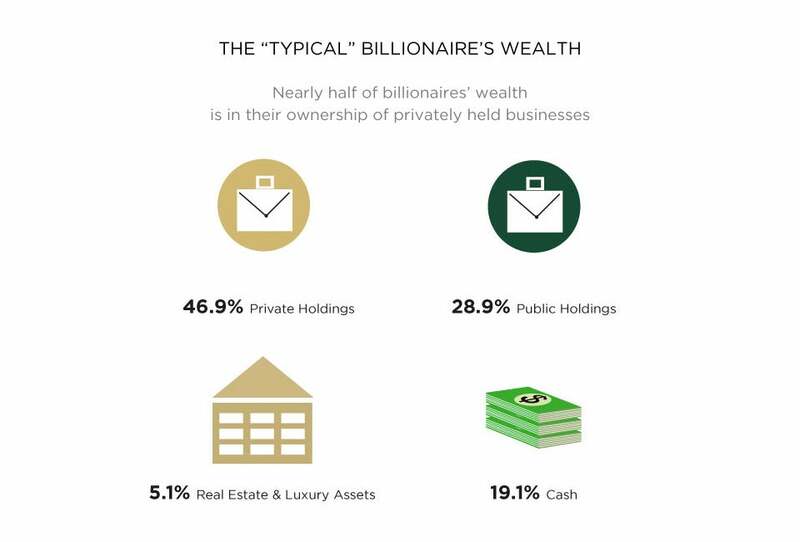 In most instances, achieving billionaire status requires more than just inheritance; 81 percent of billionaires made the majority of their fortunes themselves,” the report says. Of all of the billionaires alive, 55 percent made all of their wealth themselves, while 26 percent inherited some of their wealth and made a portion themselves. The remainder, some 19 percent, are billionaires solely through inheritance, according to the report. Taken together, the world’s billionaires are worth $7.3 trillion -- which is more than the market capitalization of all the companies that make up the Dow Jones Industrial Average on the New York Stock Exchange. 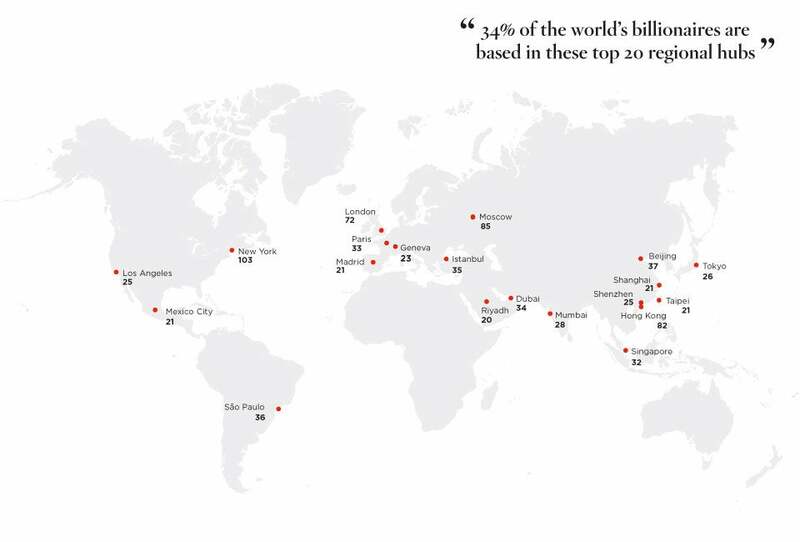 In the past year, the world netted 155 new billionaires, bringing the total count to 2,325. 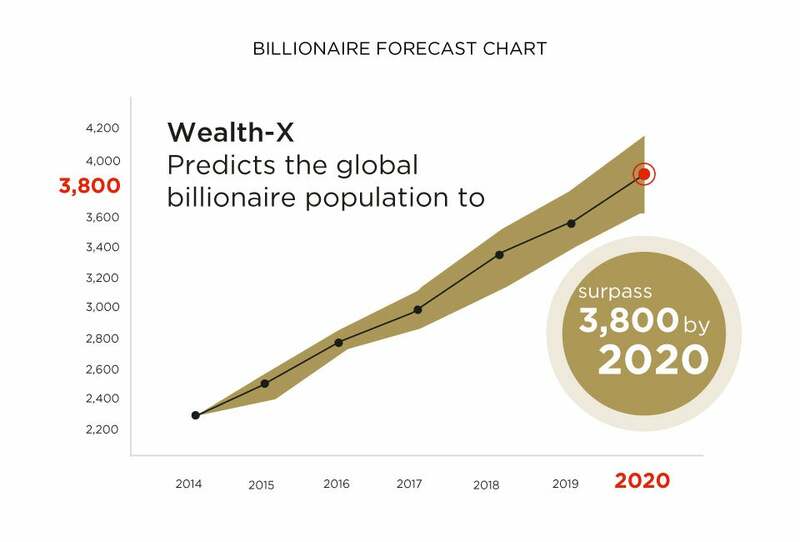 And in the next six years, the global billionaire population will surpass 3,800. 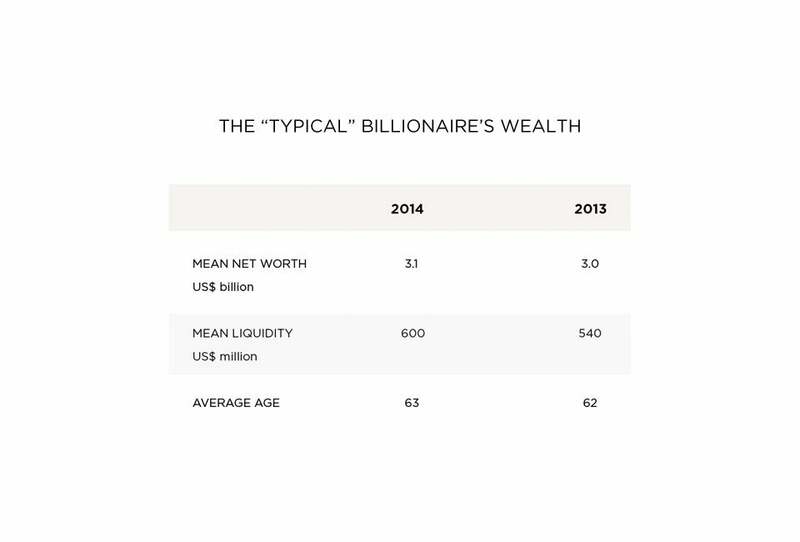 While the majority of those billionaires are entrepreneurial in nature, there is less consistency in the industry they have made their fortunes in. “Opportunities for significant wealth gains can be found across most, if not all, industries,” the report says. While opportunity lies in every corner, the majority of billionaires have found their wealth in finance, banking and investment, the report noted. 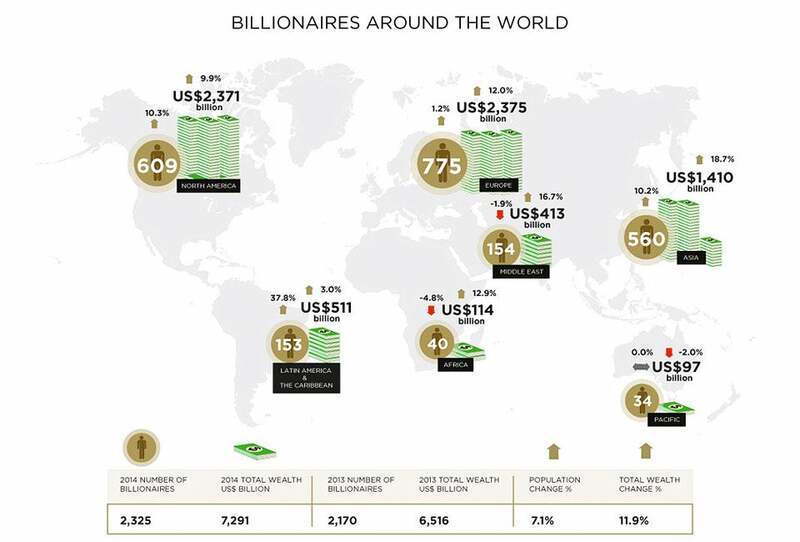 The Billionaire Census is nearly a hundred pages long and jammed with facts, demographics and figures, but for a snapshot of where these billionaires are living, what they are doing with their money and how they keep their money stowed, take a look at the infographics below. Also, there’s a video, generated by Wealth-X and UBS, embedded below, that summarizes a lot of the demographic and geographical facts. Billionaires are the new millionaires, so dream big. But don’t spend too much time dreaming. Get your entrepreneur hustle on.